In 2009, the health professional associations accredited to the Commonwealth formed the Commonwealth Health Professions Alliance (CHPA). The CHPA consider that by working together they can more efficiently and effectively represent and support health professionals in Commonwealth countries and promote high standards of care and equity in access to care for Commonwealth peoples. Have your say about what the recommendations to Commonwealth Health Ministers should be in relation to universal health coverage and making sure no-one is left behind. Civil Society across the Commonwealth, supported by the Commonwealth Foundation and other development partners, host an annual policy forum addressing the theme of the annual Commonwealth Health Ministers’ meeting (CHMM) which is held each year in Geneva on the eve of the World Health Assembly. 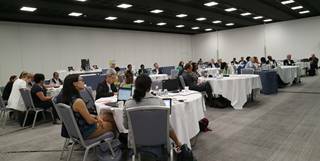 Through the policy forum, Commonwealth civil society comes together to discuss, debate, and develop consensus positions and recommendations for action on the policy issues under discussion. These positions and recommendations are then presented by civil society to Commonwealth Health Ministers at their meeting. The theme for the 2019 Commonwealth Health Ministers meeting is: Universal Health Coverage: reaching the unreached and ensuring no-one is left behind. 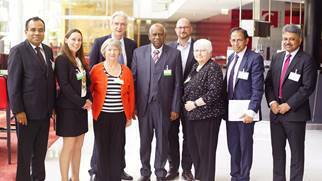 The CHPA hosted a civil society policy forum in Geneva, Saturday 19 May 2018, on the eve of the 30th Commonwealth Health Ministers' meeting. The forum, titled Universal health coverage: holding countries to account built on the session the CHPA hosted at the Commonwealth People's Forum in April. An online civil society survey was conducted seeking input into the proposed recommendations to be presented to Commonwealth Health Ministers' meeting the following day.